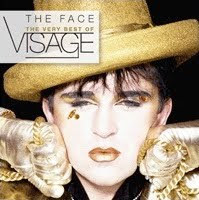 WAIST HIGH: The Face - The Very Best Of Visage. The Face - The Very Best Of Visage. Celebrating 30 years since the release of Visage's most successful song, the Waist High favorite "Fade To Grey," The Face - The Very Best of Visage is now available in the UK and will be available in the US March 30 from Universal. Visage, one of "pop's great vanity projects," evolved from the London clubs Billy's and the Blitz and are widely considered to be the pioneers of the New Romantic movement.